The World Economic Forum’s recent report, “Global Agenda Council on Geopolitical Risk” highlights one of the major developments in global governance – the rise of regional institutions – and calls for a better integration of these regional groupings into our current system of global governance. This is an important objective for a whole host of issues, but is especially critical for addressing the threat of climate change. While a global effort to combat climate change remains key, the absence of most existing, regional institutions in that international process (as opposed to blocs of nations that exist only for the purposes of negotiations), limits both the speed at which the international community can act, and the quality of its response. But first, it’s worth taking a look at who these regional groupings are, and why they matter. Setting aside the long march of such institutions throughout history, from the Peloponnesian League to the Concert of Europe, the modern phenomenon of regional institutions is still not a new one. Soon after the United Nations was established after World War II as a means of preventing another global conflict, the European Coal and Steel Community (ECSC) came into being with a smaller, yet no less important mandate: institutionalize the sharing of Germany’s mineral resources between France and Germany (and surrounding countries) so as to prevent a future conflict, while avoiding the post-World War I mistake of reducing Germany to economic destitution. This arrangement, though focused and functional, was a critical underpinning of the new global order designed to minimize the threat of war. The ECSC, which was gradually overtaken by the European Union, made war between Western European nations virtually unthinkable, and helped take the region from devastated to developed. Today, in all parts of the world, such regional entities, with similarly pragmatic mandates as the ECSC, are on the rise. From the Association of Southeast Asian Nations (ASEAN) to the Association of Caribbean States, these regional groupings often focus on so-called matters of “low politics,” emphasizing regional economic cooperation and growth (with some exceptions like the African Union and Gulf Cooperation Council, which are primarily collective security institutions). This focus on functional bread and butter issues is, for many, a virtue, and is often contrasted to the snail’s pace displayed in international institutions like the United Nations. But regional institutions may be most useful when connected to global governance, particularly when existential risks like climate change are at stake. Despite the sometimes maddening slowness of global institutions, the success of the European Coal and Steel Community (and by extension, the EU) was almost certainly dependent on its connection to the systems of global governance being put in place at the time. Without cooperation with the United States (Marshall Plan funds were conditional on European countries cooperating through such regional institutions), the United Nations, and the nascent Bretton Woods economic system, this regional experiment may not have ended so happily, and the global order would have suffered a potentially ruinous blow. Indeed, the incentives for cooperation may have easily broken down in the face of mutual mistrust and suspicion. This lesson on the benefits of integration has been borne out in recent years as well. For example, the European Union and the European Central Bank worked closely with the IMF to ensure an effective response to the European financial crisis, which helped avoid disaster. But beyond averting economic catastrophe, this integration has also borne positive fruit in terms of addressing the global threat of climate change. Climate change has been identified as an existential threat to humanity by the global community- one that cannot be solved by countries acting alone. As a result, the nations of the world developed a global institution to deal with it – the United Nations Framework Convention for Climate Change, or UNFCCC. However, as recent developments from Copenhagen to Durban have shown, the progress of these institutions can be slow, and their products can be unsatisfying. As the World Economic Forum report states, “lowest common denominator” solutions often arise from these sprawling processes, leaving core issues unresolved. Compare that to the successes the European Union has made in adopting policies to combat climate change. Seven years ago, the European Union passed and implemented an Emissions Trading Scheme, a system that while struggling to bring down emissions, is still unprecedented in scale compared to the rest of the world. Recently, the European Union incorporated airlines into this scheme, which should help reduce airline emissions (roughly 10% of its CO2 output), and create a revenue stream that can be used to invest in climate mitigation and adaptation solutions. But the important point here is that these advancements did not occur despite the global process at the UNFCCC. They occurred, arguably, because the EU, a functioning regional entity, was deeply integrated into the UN process as a formal member of the negotiations. 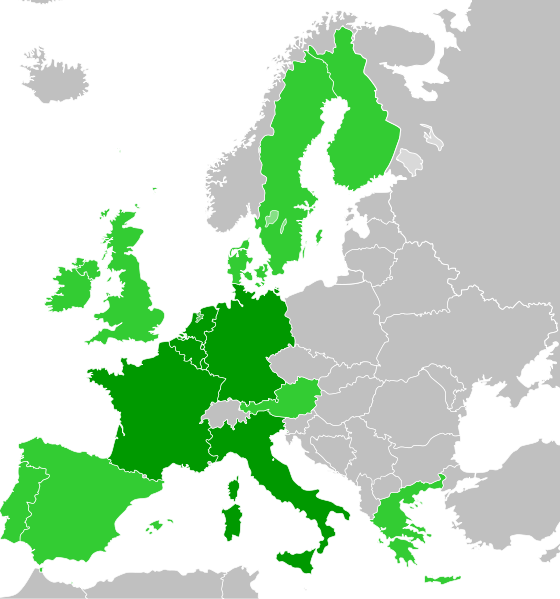 The ability of the European Union to formally enter into agreements with the international community at the UNFCCC, and to act relatively quickly and coherently to implement those agreements, is a testament to the positive role regional institutions can play if they are at the international table. Indeed, regional groupings are both affected by the global risks and challenges of today, such as climate change, and can play a key role in addressing them. Furthermore, regional institutions that are generally isolated from global governance, such as the Gulf Cooperation Council and the Shanghai Co-operation Organisation, can be very problematic in terms of their ambitions for regional hegemony, and their pursuit of objectives that may be at odds with global norms and objectives on pressing issues like climate change. While it would be a shame if the regional groupings of the world lost their efficiency and effectiveness, it would be an equal shame if they remained disconnected from, or at odds with, pressing global issues. The key would be to do both – maintain the efficiency of regional institutions, and integrate them into global governance. The slow pace of the UNFCCC process, the difficulty of getting large numbers of countries to come to meaningful agreements (and implement them), the lessons learned from the European Union, and legitimate concerns about regional institutions clashing with the international community, all bolster the case for better integrating regional institutions into the international effort to combat climate change. While some progress has been made, such as ASEAN members collectively addressing the UNFCCC, more and deeper integration is needed. Regional organizations from the Association of Caribbean States to the Central Asian Cooperation Organization, all have a stake in addressing climate change (including multiple members who are, or will be adversely affected by it) and are all relatively coherent institutions that can act quickly to address key challenges. They are also institutions that would relish the chance to be better integrated into the global community. Such a synergistic dynamic could lead to the acceleration of efforts to combat the threat and reality of global climate change, and ensure that a meaningful implementation of future agreements proceeds apace. By Francesco Femia & Caitlin Werrell in African Union, ASEAN, Association of Caribbean States, Central Asian Cooperation Organization, climate change, Europe, European Coal and Steel Community, global security, governance, greenhouse gas emissions, Gulf Cooperation Council, regional institutions, Shanghai Co-Operation Organisation, South Asia, United Nations, United States, unprecedented on January 27, 2012 .